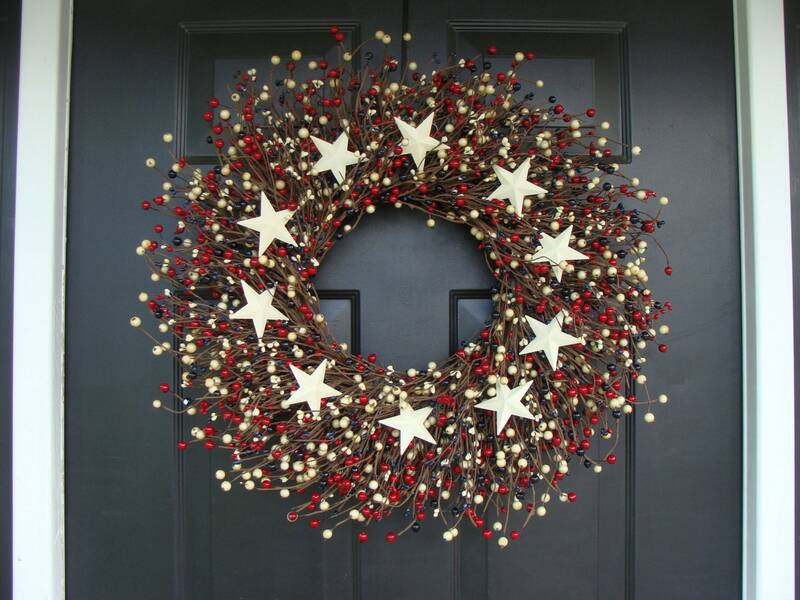 Show your patriotic spirit with this beautiful red, white and blue berry wreath accented with a large off white metal stars. 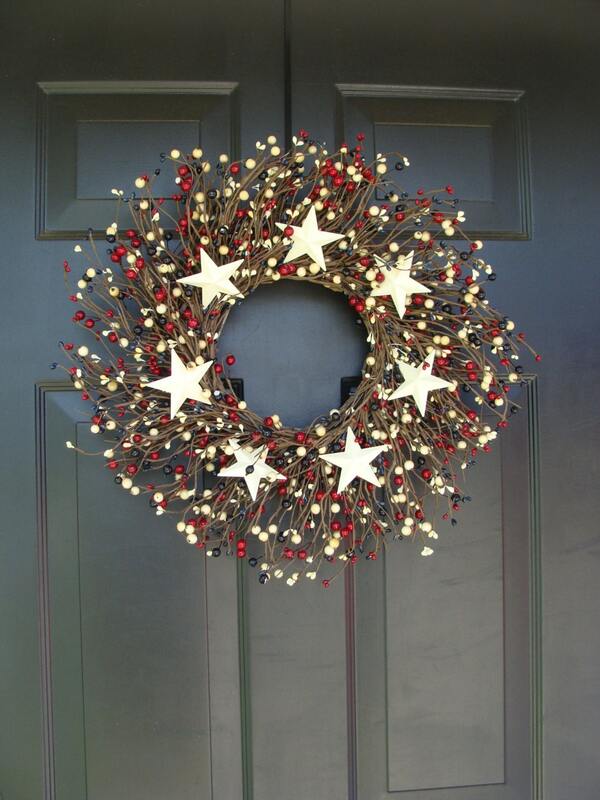 This very full artificial berry wreath (shown) measures 24 inches and 5-6 inches deep but is also available in sizes 18-24 inches in diameter. Pictures 3-5 show the 18 inch diameter wreath which is 3-4 inches thick. 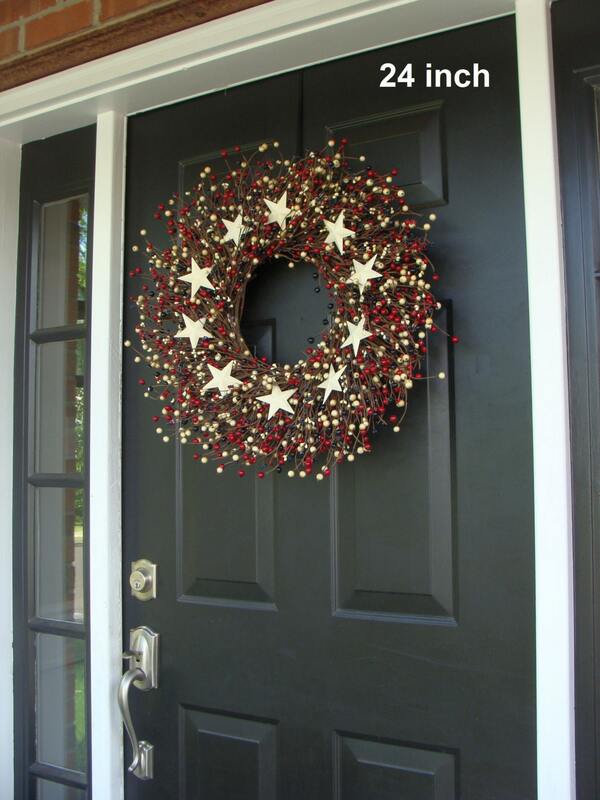 Overhead coverage is highly recommended but you can add an additional UV and rain resistant coating to be sprayed on your wreath to help protect it from the elements. 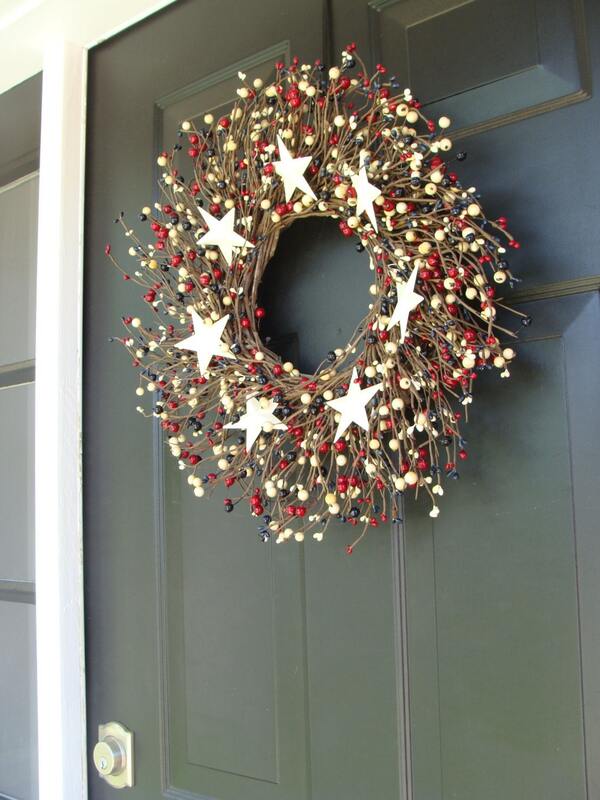 *The diameter of the wreath is measured from tip to tip of the edge of the berries across to the opposite side. 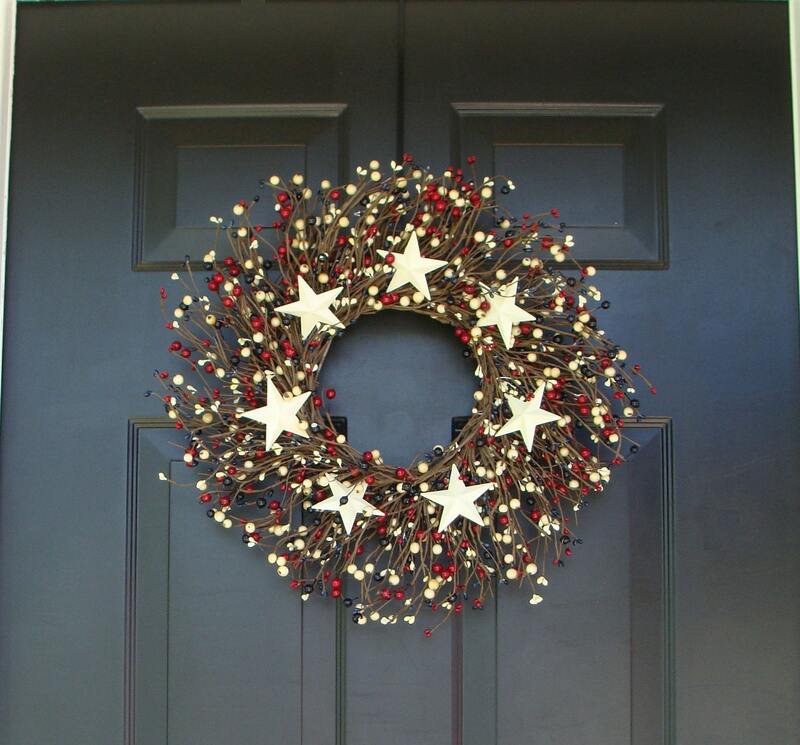 We recommend that you physically measure your space to determine the appropriate size of your wreath but are always happy to advise further so please convo me! This is my go to for the patriotic holidays.